Captivating, intriguing, beautiful and strange, Whographica explores the rich universe of Doctor Who like no book before it. Through creative visualisations, infographics, charts, maps and more, it offers a unique introduction to the extraordinary worlds of the show - from the Doctor's family tree to the strangest weapons in the universe; from a star chart showing the exact co-ordinates of Gallifrey to a flow diagram of allegiances between Daleks and Cybermen throughout history. Bursting with colour, expert knowledge, and fun, Whographica will delight new and long-term fans alike. And, like the show it celebrates, it will make you see the world in an entirely new way. Steve O'Brien (Author) Steve O'Brien is a film and TV journalist. In an 18-year career, he has written for SFX Magazine, Sci-Fi Now, Total Film and Empire and is a regular contributor to the official Doctor Who Magazine. Steve has also made many appearances on documentaries included on the Doctor Who DVD range and on BBC Four.Simon Guerrier (Author) Simon Guerrier has written countless Doctor Who books, comics, audio plays and documentaries. As research for one of his Doctor Who stories, he studied GCSE astronomy at the Royal Observatory Greenwich - which resulted in an A* and the plot for another Doctor Who story. Simon regularly writes for Horrible Histories Magazine and medical journal The Lancet Psychiatry. With his brother Thomas, Simon also makes films and documentaries - most recently The Fundamentalist Queen, about the wife of Oliver Cromwell, broadcast on Radio 3 in December 2014. Ben Morris (Author) Ben Morris has illustrated for Radio Times, Sunday Times and The Scotsman, and is a regular contributor to Doctor Who Magazine. He has created dozens of character icons and puzzles for Doctor Who Adventures. 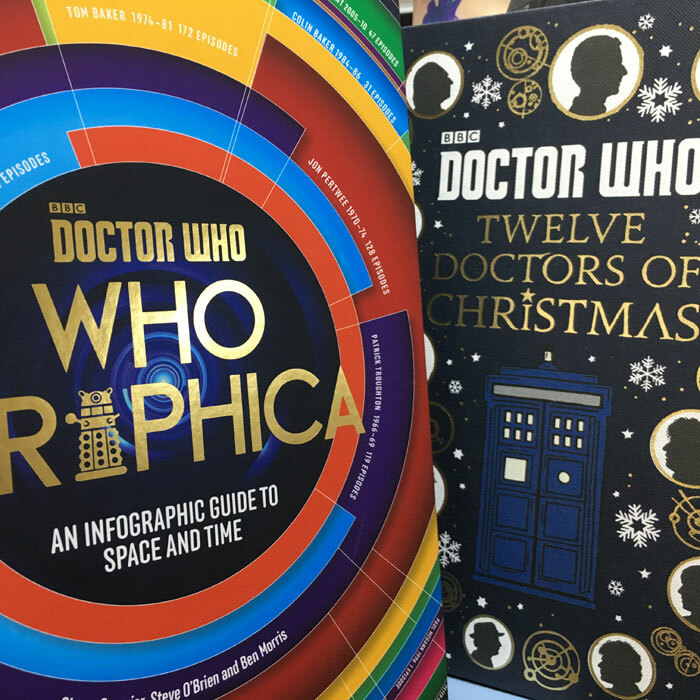 For BBC Books he has illustrated Who-ology (2013), Wit, Wisdom and Timey Wimey Stuff - The Quotable Doctor Who (2014) and Time Trips (2015).